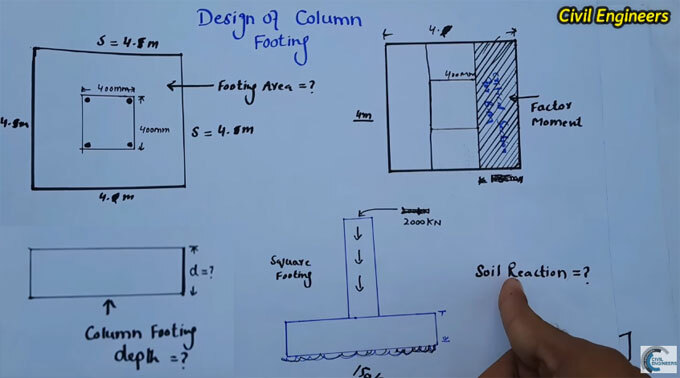 In this construction video tutorial, the eminent engineer Sami Ullah, provides some useful tips to design the square column footing efficiently. Now, find out footing one side = √A = √14.55 = 3.28 m = 4 meter (approx). To get more information, watch the following video.